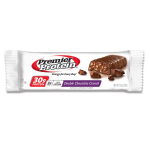 On Friday, February 28th you’ll be able to load a digital coupon for a FREE Premier Protein Bar to your Kroger or Smiths card! The coupon will only be available that day, but won’t expire until 3/15/14. I am going to be ready when summer hits here in Albuquerque, New Mexico. Next month month the calendar may say spring but we usually start getting into the 80's about mid month. I was sent a cool table top fan from Ozeri to review. The Ozeri Brezz III Dual Oscillating 10" High Velocity Desk and Table Fan is an awesome fan. This fan has a remote control to operate it and has dual oscillating motors. So let me explain the cool features that this fan has. It is powered by an ultra-quiet, 4-speed, dual oscillating motors with automatic vertical and horizontal motion. That means the fan rotates sideways and up and down at the same time. I played around with this feature and with the remote control, I was able to adjust the fan at the up and down angle I wanted. I then was able to lock the fan at that angle but still have the fan rotate left and right to cool the room. The up and down rotation moves the fan all the way to point to the ceiling. I don't think I would ever need that angle but the instructions said in the winter that angel is great for equilibrium temperature. You can also operate the fan with no oscillation. The fan has a remote control to operate the fan or you can control in by the buttons on the fan. The Ozeri Brezza III has four different speeds and has a timer that operates up to 4 hours, in 1 hour increments. That means you can set the fan to run for a hour or two and shut itself off. 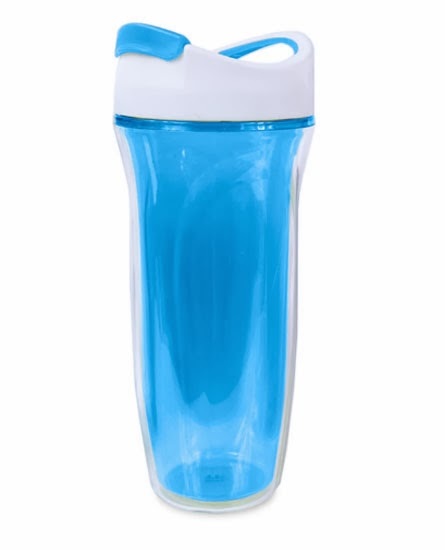 This would be great at bedtime to cool you off to help you fall asleep but because you can set it to go off you wont be chilly later in the night. The Ozeri Brezza III is a stylish fan that is ready to use out of the box. The fan is very durable and weighs only six pounds. The fan even has a handle to make transporting to another room easy. I can see myself using this fan in the living room by day and my bedroom by night. The Ozeri may be a table fan but with its up and down oscillation, you could set it on the floor and angle it to cool people sitting down. I am going to love using this fan with the remote control. I wont have to get up to turn off the fan when I get chilly. This is one powerful fan and is going to keep me cool this summer. I placed the fan 12 feet away from me and I could still feel an awesome breeze. I received the product mentioned above for free in order to review it. The opinions are all my own and not dissuaded by the company in any way. This is fun swap where you have a salad for one meal a day for 30 days. You make your salad into a meal and eat healthier for 30 days. This is a great way to make a healthy meal and get more veggies into your body. You can save calories also by swapping a yummy salad for a high caloric meal. I am on day 2 of the Fresh Express 30-Day Salad Swap and I made a yummy taco salad. I used Fresh Express iceberg garden mix and added pinto beans, salsa, shredded cheese, and guacamole. You can add a couple of tortilla chips for some crunch. What recipe at http://freshexpressrecipes.com/ will you try first? Join me on a 30-day challenge to a healthier you. Fresh Express, the maker of yummy salads wants to challenge you to a simple 30-day salad swap. This is a cool challenge that is going to make you healthier and feel better. The Fresh Express salad swap lets you recreate the flavors of your favorite higher calorie foods, like cheese pizza and creamy pasta. It is very simple to do, just swap one meal a day for a month and you'll not only feel better, you'll earn money-saving coupons along the way. Check out the Salad Swap for more details and to sign up. I am a Moms Meet member at greenmomsmeet.com and I was sent some coupons so I could start the 30-Day Salad swap. The Fresh Express 30-Day Salad Swap website has plenty of awesome recipes to help you get started. You can download an App to your cell phone to access recipes, track your meals, calories, activities and more. You can also enter codes from the Fresh Express salad bags to earn money saving coupons on more great Fresh Express salad. I could not wait to get started on the 30-Day Salad Swap and bought a bag of Fresh Express spinach and a bag of Fresh Express iceberg garden mix. I was inspired to make a grilled cheese salad, I found the recipe at www.SaladSwap.com. I made the salad mine with the ingredients I had on hand, Fresh Express spinach, carrots, sunflower seeds, and a grilled cheese sandwich. This salad was so yummy! Fresh Express salad mixes typically cost between $2-$4 per bag making it an affordable choice for any meal. and helpful features.Get the Fresh Express Salad Swap app today to learn how to recreate your favorite high calorie meals into lower calorie salads. Once you start swapping you you'll not only feel better but you'll also earn coupons along the way! Join me on a 30-day challenge to a healthier you. What recipe at http://freshexpressrecipes.com/ will you try first? Hi everyone! I am super excited that Jenny Saved A Penny now has it’s own domain! What better way to celebrate than to host a $100 PayPal giveaway! 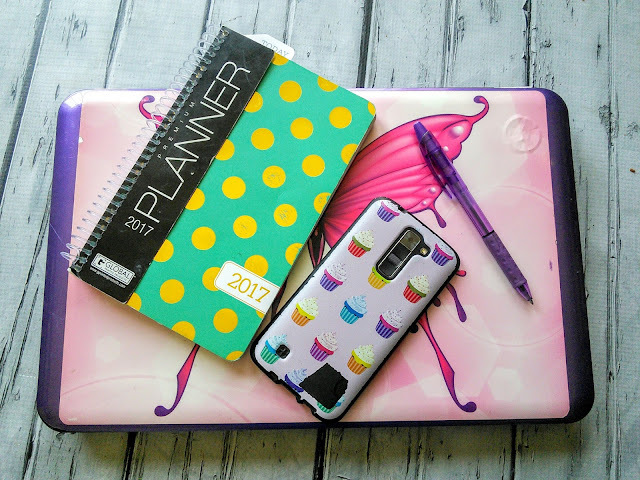 There is an option for a free sign-up option with announcement of the blogger opp and this giveaway is for everyone. I am so excited to be hosting this giveaway and if you have any questions, please feel free to shoot me an email at jennysavedapenny@gmail.com. Feel free to check out the website Jenny Saved A Penny and give me feed back. It is still fairly new and a work in progress but I would love the input. The details are as follows. Watch this video to see how easy it is to make a green tea latte using a wonderful mix from www.RedLeafTea.com. I am using a Matchaccino green tea latte mix in caramel flavor. Now that you have seen how easy it is to make a green tea latte, visit www.RedLeafTea.com and tell me what flavor you would like to try. 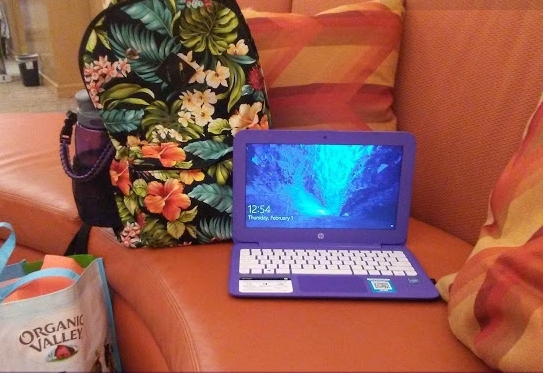 As a blogger, my computer is very important for my job. If my computer does not run well, I can not do my job. I have had problems with my computer in the past with a computer virus and malware getting on my computer. Thankfully, I was able to use my husband's computer to do research on to solve the problem of fixing my computer. So this experience has increased my knowledge of how to keep my computer safe from bugs and viruses. This information in my go-to whenever my computer is running slow. When my husband complains of computer problems, I always tell him to run these programs. This past week my father-in-law clicked on something that introduced a virus into his computer. He did not realize that he had problems until his email sent all his contacts an email saying he was stranded in Ukraine and needed money. That was when my husband and I asked to look at his computer. We found that his computer was infected with malware and it was a bad one. Thankfully because I had a virus back in December I knew what to do. This below information cleaned up his computer without having to pay for someone to fix it. Most people are afraid of fixing a virus on their computer as they don't know what to do or what websites can be trusted. I once made the mistake of downloading what I thought was a program to help my computer and it instead introduced more problems into my computer. I have found a trusted site called http://www.bleepingcomputer.com/ to download software to get a virus, malware and other junk off your computer. This is the website that fixed my computer in December and where I turned to fix my father-in law's computer. I had to download 3 programs to fix our computers. 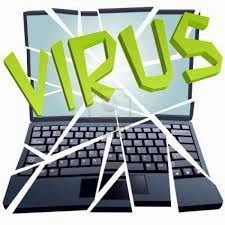 The first thing to do to get a virus off the computer is to disable the bug. I used a program called rkill. Go to http://www.bleepingcomputer.com/download/rkill/ to download the free program. This program will terminate the virus so you can begin to clean your computer. Do not restart your computer after to program as that will turn the virus back on. The next step is downloading a program called Junkware Removal Tool. Junkware Removal Tool is a security utility that searches for and removes common adware, toolbars, and potentially unwanted programs (PUPs) from your computer. A common tactic among freeware publishers is to offer their products for free, but bundle them with PUPs in order to earn revenue. This tool will help you remove these types of programs. Go here http://www.bleepingcomputer.com/download/junkware-removal-tool/ to download this program. The next step which will take the longest, depending on how much crap is on your computer, is called Malwarebytes Anti-Malware. This program will scan all your files on your computer and find viruses and then delete them. The first time you run the program it will take a long time but your later weekly scans will take under an hour. Malware Anti-Malware is a great program to run weekly on your computer to keep it safe from problems. Go here http://www.bleepingcomputer.com/download/malwarebytes-anti-malware/ to download this program. The virus that was on my father-in-law's computer was a bad one and as when we went to download each program a new window opened up with a different fake program. So make sure you are downloading the correct program and if a different window with a program with a different name comes up just X it out. When we started the Rkill we had a program called RegClean Pro came up and my husband thought that was the program and started it but I quickly realized it was not and I Xed it out. I found a list of some fake virus remover software at wikipedia.org that you should check out. I hope my experience helps you to know how to fix your computer. Feel free to ask me questions and I will try my best to answer them. I can say with confidence my father-in-law's computer is fixed for now. Another thing that could be making your computer run slow is temporary files. Most computers clear the temporary file folder but sometimes they do not get cleared. If you enjoy playing computer games, you might have temporary files that did not clear. My husband was complaining that his computer was slow and we did all of the above thinking that he had a virus. When the computer was still running slow, I did some searching for answers and discovered that his temporary file folder needed cleaning. That fixed his computer. To clean the temporary file folder, enter %temp% into your search bar on your taskbar. Then click on the %Temp % file folder and that will bring you to a list that you can delete the files by right clicking on them. Since introducing this information, I have downloaded a better virus protection program on my computer. My internet service provider provides my household with a Security program that you can purchase and this does a pretty good job of keeping my computer clean. I also installed a Smart Internet Firewall on my network for an added layer of protection. This Smart Firewall stops the connections to unsafe sites so my family can't go to bad sites on the internet. When I look at the weekly report for my firewall, I am always amazed at the number of websites it has blocked. No system is 100% safe so if I do notice that my computer is running slow or not performing correctly, I will run all of the above programs. When my husband complains about his computer and askes me what the websites are that he needs to download, I just tell him to go to my website and search for Virus and that will lead him this post. You can also search for mom knows best virus and that will lead you to this post. I hope you never have to deal with a virus on your computer but if you do, these steps will take care of it. Has your computer ever had a virus? Yesterday I needed something that was quick and easy to make for dinner. My husband invited some people over for dinner at the last minute and I did not have a clue of what to serve. We had people over the night before and I did not feel like cooking for guests again. That afternoon as I was reading Facebook, I came across a blog with a recipe for chicken burrito soup--http://www.raisingdickandjane.com/2014/02/a-bowl-of-chicken-burrito-soup-to-go.html that looked awesome. I don't eat meat and did not have tortilla chips in the house so her recipe inspired me to make chili. Her recipe reminded me how easy it is to make chili in the slow cooker. You can use can beans or ones made from dried beans. I make beans in the slow cooker and then freeze them in 2 cup portions to use in recipes, recipe at the end. Combine all ingredients in the slow cooker and cook on high for 4 hours. Serve with shredded cheddar cheese. Pour a package of dried beans in the slow cooker and cover the beans with water, several inches above the beans. Cook on high for 6 hours. Drain the beans and rinse with cool water. Freeze the beans in 2 cup portions. I like to put the 2 cup bean portions into sandwich bags and then into a larger ziplock bag to make finding them easier in the freeze.I use this method for for all kinds of dried beans so I have a variety of beans in my freezer. 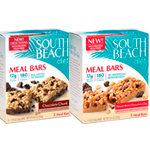 On Friday, February 21st you’ll be able to load a digital coupon for FREE South Beach Diet Meal Bars to your card! The coupon will only be available that day, but won’t expire until 3/8/14. I love doing reviews of products as I not only get to try new things but I get to help people know about the product before purchasing it. One product review that has been my favorite was the Ozeri Earth pan. I reviewed three different pans for Ozeri- Earth Green Textured Ceramic Non-stick Frying Pan, the Stainless Steel Earth Pan and the Ozeri Green Smooth Ceramic Nonstick Frying Pan. When I was offered the first Ozeri pan to review, I was in the process of returning a Calphalon pan that was under warranty to get a replacement. I decided to give the Ozeri pans a try before I returned the Calphalon pan. I have had the Ozeri pans for about 2 months and I enjoy using them so much that the Calphalon pan is still boxed up waiting to go to Fedex to be returned. I will save the shipping money for now and use my Ozeri pans. Since I have three different Ozeri Earth pans in three different sizes 8,10, and 12 inches, they all get a lot of use for different cooking. My son loves to make eggs and grilled cheese for snacks and uses the 8" Earth Green Textured Ceramic Non-stick Frying Pan several times a week. I use the 10" Stainless Steel Earth Pan almost daily for cooking things like quesadillas, onions, eggs, and pancakes. The 12"Ozeri Green Smooth Ceramic Nonstick Frying Pan gets used weekly for larger items like egg foo young and making eggs for breakfast burritos. The Ozeri Earth pans are all still in great shape and the non stick coating is holding up great. I love how easy the pans are to clean, I just let them cool down and rinse them in soapy water. The food never sticks to the pan so when I clean them, It just requires a quick wipe. I still love the way the pans look hanging on my pot rack, the green color is so cool and so is the silver. So if you have been debating buying these pans because of negative reviews on Amazon, I can tell you my pans are doing great after 2 months of weekly use. "These opinions are my own and I was sent the above mention pans several months ago to write previous blog posts. I was not require to write this follow up post." I love a great deal! I never pay full price for M&M'S. I got several packs of Valentines M&M's at Target today for 20 cents each. The Valentine candy at Target was 70% so the M&M's were .95 cents and I used a coupon that I printed from http://coupons.target.com/grocery-coupons for $1.50 off two M&M'S. The Valentine non food items were 90% off while Valentine food items were 70%. I also bought these items too. There was plenty of candy and other items at my store. The Valentine's items will only be at this price for today and tomorrow. So if you need candy or other goodies get shopping. I buy the box Valentines for next year, as .30 is so much better than 3.00. I also freeze the candy for next year too. So what is your favorite M&M flavor? Now go to Target and get it for .20, dont forget to print the coupons. I love trying new products and got very excited when Ozeri asked me to review their Ozeri 360 Oscillation Tower Fan, with Micro-Blade Noise Reduction Technology. I know what you are thinking, most of the USA is cold with snow so why am I talking about fans. I live in one of the lucky few states where we are having 70 degree weather and by next month I will need this fan. For the rest of you I am helping you think positive that spring and summer will be here soon. It won't be long until you are complaining that it is too hot and wish you has a fancy fan to cool you off. The Ozeri 360 Oscillation Tower Fan is a cool awesome fan that does a great job of keeping you cool. The Ozeri Tower fan oscillates at 60, 90, 120, and 360 degrees so you can keep the whole room cool. The fan cools the air with 3 whisper quiet speed settings( watch my video at the end) and comes with a remote control. You can control the fan while you are watching tv with a push of the button on the remote. The remote will be great when you are sleeping and want to turn the fan off. The Ozeri Tower fan also has a 8 hour timer that can be programed in 30 minute increments and also features 3 preprogrammed airflow patterns designed to foster sleep, relaxation and comfort. The multi-colored LCD displays all fan functions and the room temperature. The Ozeri Tower Fan is very simple to operate. When the fan arrived all my boys were helping me explore how it works. My 5 year old was able to use the remote control and adjust the settings and air flow. When summer time arrives this tower fan will be great for sleeping on those hot nights. I can set the fan on high for a couple of hours and then have it auto adjust to low while I am sleeping as the outside temperature drops. This fan will also be great in the family room to keep everyone cool as I can adjust the degree of rotation. No more having to crowd around a fan. Living in the desert of New Mexico means no air conditioning in our house. We have swamp coolers which is fine for our dry heat but when we get out summer rain the swamp coolers do not work to cool the house. The Ozeri Tower fan will be great for those hot days. I can't wait until next month when we will be wearing shorts and I can use this awesome fan. My husband will love using the remote control to operate the fan. Here is my video show how quiet the Ozeri Tower fan is. Summer will be here soon and you will be glad you bought this fan. "These opinions are my own and I was sent the above mentioned product to help write this review." People are usually surprised when I tell them my age. My secret to young looking skin is eating healthy, running 5 miles a day, and using the proper beauty products. Try to guess how old I am by looking at this picture of me wearing no make up, I will give you the answer later. Pure Body Naturals Vitamin-C Serum was a product that I discovered and wanted to see how it works. After reading the above first slide about the product, I was interested in the great benefits to my skin. I already use a good anti-aging cream for my skin but the Pure Body Naturals Vitamin-C Serum sounded like a great addition to my skin care. I was sent a bottle of the Vitamin-C serum to try. It was very easy to apply both morning and night. I loved how one dropper was more than enough for my face. The product absorbed fast into my skin and was not sticky or greasy. After a week of using the Serum, I notice my skin felt tighter and less dry during the day. I love that the serum can protect my skin from free radicals caused by sun damage if used in the AM. 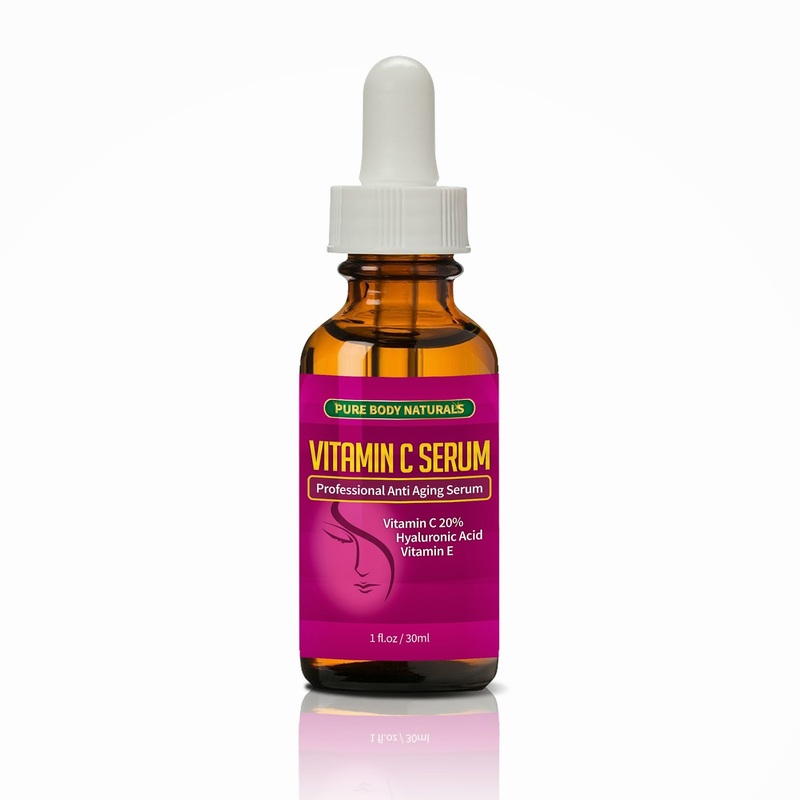 The Pure Body Naturals Vitamin-C Serum is to be used under your moisturizer. 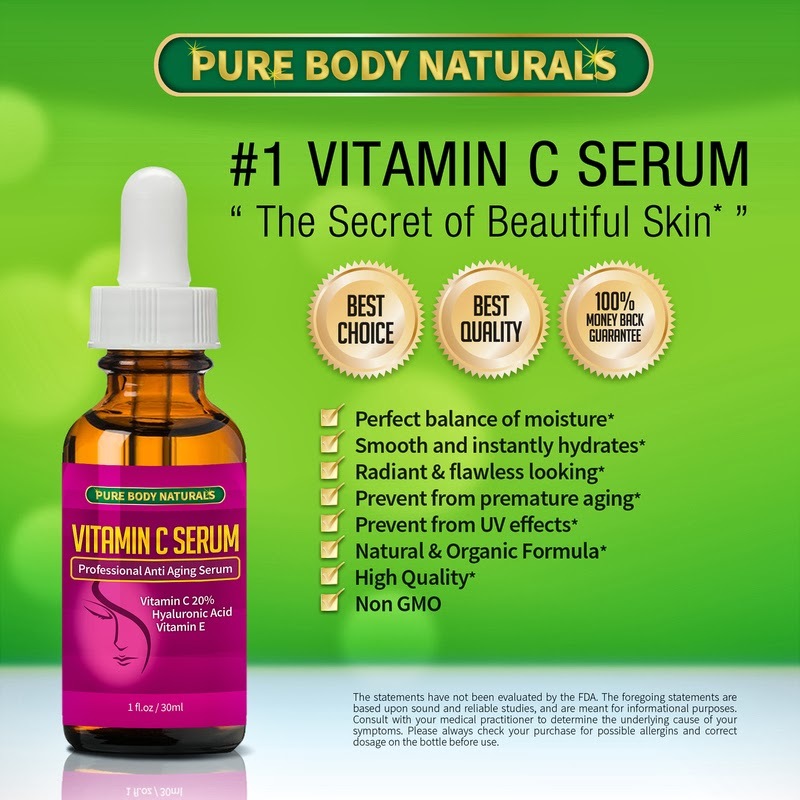 The benefits of the product are plenty and I will continue using Pure Body Naturals Vitamin-C Serum in addition to my moisturizer for the long term benefits of keeping my skin young looking. Now the answer to how old I am, the above picture was taken last July. I am 48 years old. 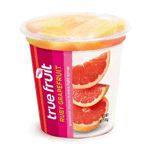 On Friday, February 14th you’ll be able to load a digital coupon for a FREE 7oz Sundia True Fruit Ruby Grapefruit to your card! The coupon will only be available that day, but won’t expire until 3/1/14. 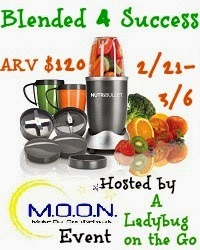 Looking for a family fun on Valentines day? Look no further. IT'Z is the place to celebrate Valentines day with the family. This is the place with a great pizza buffet, games, and rides.They are having a great special too! So don't spend Valentines day at home go to iT'Z! Great food and fun for the family!